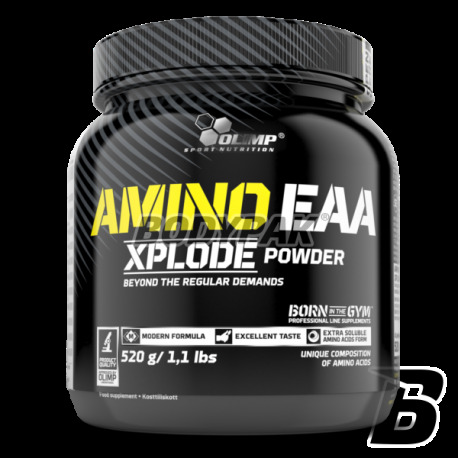 Amino EAAnabol Xplode - Excellent amino acid product based exclusively on free, pharmaceutically pure forms of amino acids. Xplode ™ is a series of supplements based solely on an absolutely innovative products, designed for those with uncompromising demands. The unique composition of these supplements is the result of efforts of scientists from laboratories Olimp®, based on the design of each product, on the latest research in the field of diet and supplementation of athletes and active people. Many years of experience in the industry Olimp® supplements, undoubtedly contributed to the success of the most successful athletes from the Olimp Team, who also participated in creating the Xplode ™ series. The innovative composition of each product from the Xplode ™ series is based solely on the most effective and pharmaceutically pure active substances with proven and documented, safe operation. No cheap substitutes! Xplode ™ is a series of products with very high solubility and sensational, intensely fruity, aromatic flavors that you can freely combine and compose their own discretion. The use of maximum micronisation of loose forms is a component of the perfect absorption of active ingredients of each product of this unique series. NEXT, THE EXPECTED SERIES MULTI-ELEMENT XPLODE ALREADY IS! Excellent amino acid product based exclusively on free, pharmaceutically pure forms of amino acids. 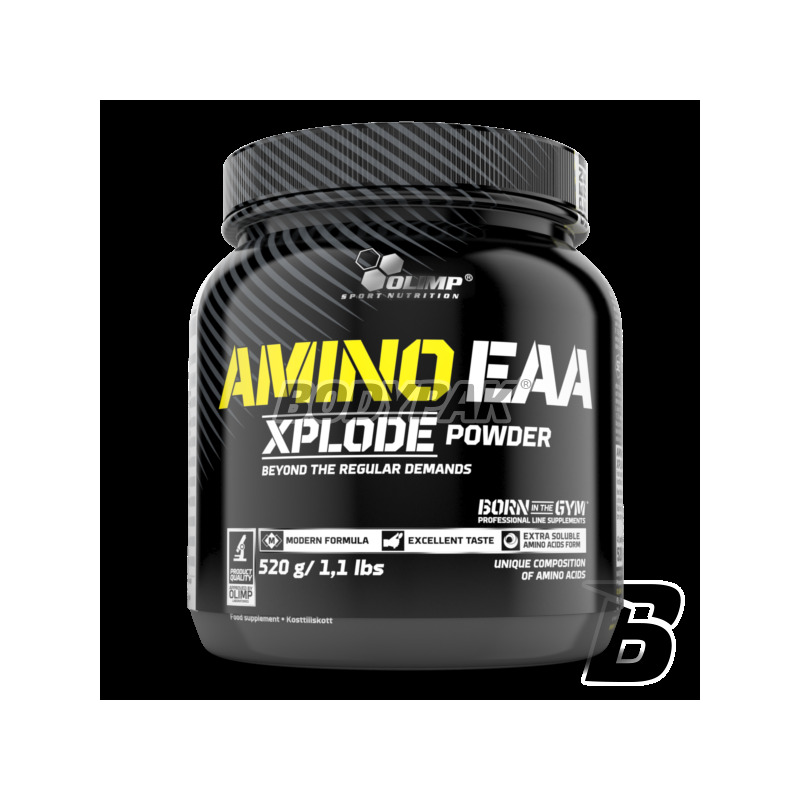 Composition AMINO EAAnabol Explode mainly based on amino acids (EAA, L-leucine, L-lysine, L-valine, L-isoleucyna, L-threonine, L-phenylalanine, L-methionine, L-tryptophan. The ratio of the individual amino acids product AMINO EAAnabol Xplode has been chosen based on the demand for EAA fixed ratio method based on average demand group (average requirement) by experts from WHO / FAO / UNU, adopted the report of WHO / FAO / UNU published at the end of 2007. to prevent excessive degradation of L-phenylalanine and L-methionine, which are the substrate for the synthesis in the body, L-tyrosine and L-cysteine, the last two amino acids were independently added to aMINO EAAnabol Xplode. To whom is recommended AMINO EAAnabol Xplode? They recommended primarily for athletes, especially during okołotreningowym. They also recommended to individuals vegetarian diets, slimming or other risk of deficit of essential amino acids. Aminokwasy EAA i BCAA w odpowiedniej dawce, na mnie działa i dlatego polecam.